• Thoroughly inspect your home and outline all the important features and upgrades. • Determine Fair Market Value of your property by doing a detailed written market analysis. 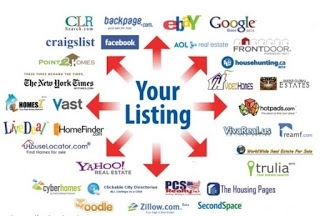 • Execute a listing agreement authorizing us to market your property. • Prepare a written home enhancement proposal and budget for your approval (if applicable). • Recommend repairs, improvements, or home staging (if applicable) to sell your property for the highest price. • Schedule and supervise the home enhancement program, with your approval. • Suggest additional enhancement and repairs based on buyer feedback. • Prepare and submit accurate information to the Multiple Listing Service (MLS). • Schedule a professional photographer to take high-resolution digital photos of your property for the MLS, print, and Internet web sites. • Engage a professional to draw an accurate floor plan (if applicable). • Install a high-security lock box to facilitate showings (if applicable). • Display your home to other local agents by hosting a broker’s open (if applicable). • Promote your property by networking with other Beachfront Realty sales associates and active agents from other companies. • Create and e-mail custom online brochure outlining the key property features. • Install “FOR SALE” sign on your property to generate buyer calls (if applicable). • Mail “JUST LISTED” photo postcards to your local neighborhood. • Design a custom website exclusively for your home to give the best Internet presence (if applicable). • Send you a printed copy and a link to the MLS presentation for your approval. • E-mail you links to all the Internet presentations for your approval. • Visit your home weekly for showings and to refill brochures (if applicable). • E-mail you direct feedback from other agents on all showings. • Call or meet with you weekly to report on the activity and review market conditions. • Provide regular updated written market reports showing the latest market activity. • Constantly review our marketing strategy and adjust as needed to get your home sold. • Carefully review and present all offers for your consideration. • Qualify the prospective buyers to be sure they are able to purchase your property. • Prepare a strong counter offer to create a solid transaction that will close on time with no surprises. • Determine an adequate purchase deposit to solidify the transaction. • Manage all the details of your real estate transaction. • Open escrow and review the escrow instructions. • Arrange for the property, termite and other inspections. • Supervise any agreed-upon home repairs or inspections. • Oversee the loan approval process to be sure your transaction closes on time (if applicable). • Coordinate and supervise the appraisal process to ensure the proper value. • Order the preliminary title report and review the condition of title. • Order the HOA documents including budgets, by-laws, and minutes of board meetings. • Provide updated preliminary closing statements for your review. • Stay on top of all other matters to be sure your real estate transaction closes on time and is hassle-free.